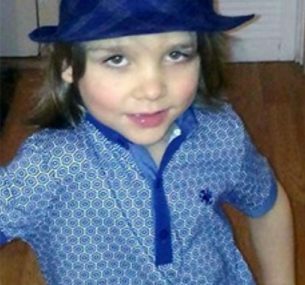 In September 22 2013 our seven-year-old son Aidan was rushed to hospital because of seizures and vomiting. He was kept in for two weeks – the doctors had found a growth on Aidan’s brain. 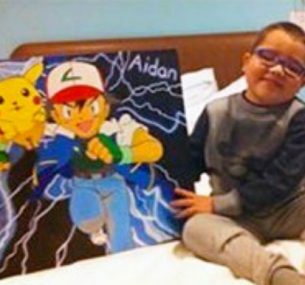 For nearly three months Aidan was back and forth to different hospitals for tests and scans to find out what the growth actually was. 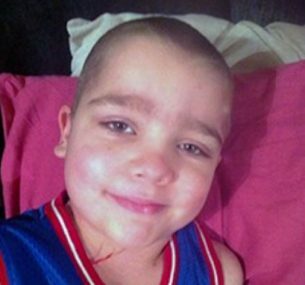 It wasn’t until 19 December 2013 that we received a call asking Aidan to come in for an MRI. After the MRI we were informed that Aidan did NOT have a brain tumour. On December 27 we received a second phone call from the hospital. This time they asked us to rush Aidan in for urgent surgery to remove the growth on his brain. By now Aidan’s vision had deteriorated, his speech was slurred and his movement was limited. On January 8 2014 Aidan was diagnosed with brain cancer (glioblastoma). We were devastated, as you can imagine – to have been in limbo for nearly three months, to then be told your son has brain cancer. But Aidan, being Aidan, stayed strong. He was our hero – he pulled us through it laughing and joking and smiling all the way. 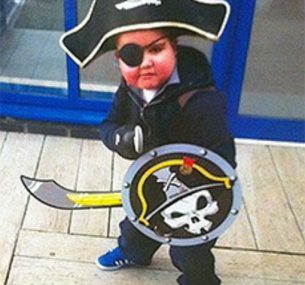 Even when the radiotherapy and chemotherapy started, Aidan just took it on the chin – he didn’t even mind being away from the family for the six weeks of treatment. This boy was a soldier. He was so brave and seemed to grow up overnight. He had just taken on the biggest fight of his life, and it didn’t phase him. Aidan would get more upset or annoyed at not being able to finish his colouring or drawing than any of the medication. For the next five or so months Aidan showed signs of getting better. Even the doctors were getting excited. We were all thinking Aidan might just beat this. We wished, prayed, stayed positive, you name it. He was looking better and we were receiving positive feedback: we now believed. Aidan came home. We had so much fun together. It was great being a family again, all under one roof. It had been so hard being split up. Aidan’s brothers missed him so badly, and he did them – we all did. Over the next months we went to Legoland for Aidan’s 8th birthday and spent the weekend there. Aidan loved it and didn’t want to leave. I think he went on every ride at least three times! We visited friends and family, went to the cinema and ate in McDonald’s all the time (Aidan’s favourite). We went to the London Dungeons, the Tower of London, bowling, and to the arcade. We even visited Anfield and met the Liverpool football team! Aidan was spoilt rotten. But after what he went through, he deserved it. Aidan was amazing – one in a million – everyone that met him said he had such a warm heart. He had time for everyone and wanted to help others. He loved school, loved to draw, loved to colour and his smile just lit up your face. To hear him laugh just cracked you up! In July 2014 things started to change. Aidan was vomiting, unsteady on his feet and was starting to slur his words, just like at the beginning. In August we were told the cancer had come back with a vengeance. It had become immune to the treatment, and surgery would do more harm than good. We were in limbo again. After all the fighting our little Aidan had done – and the stress on the family – we were now told there was nothing more that could be done. They told us Aidan had four to six weeks to live. Aidan deteriorated so quickly. On 26 August our little man passed away. He was so brave and it was so hard to see our baby leave us. He was the life and soul of the family and touched our lives and so many other people’s lives. I love you so much little man and I miss you like crazy. I know, you being you, you’ll be looking after all those children who have been taken too early, and looking out for those who are fighting the fight.